Garnier Micellar Water is a makeup lovers must have! It’s no secret I’m a huge fan of micellar waters. When it comes to those late nights when taking off your makeup is the last thing you feel like doing, micellar waters can be your lifesaver. It’s also no secret that my skincare routine can be inconsistent and I use sometimes a random collection of products AND I’m not always so faithful when it come to wearing sunscreen each day. But one thing I never compromise on is taking off my makeup at night – I can’t fall asleep with makeup on! While the Garnier Micellar Water has been around for a while, I’ve never really done a full blog post on it so I thought it was high time. Micellar waters became a hot topic in the beauty world not too long ago. The original famous one was Bioderma Sensibio (R220 from Clicks) which was not only fantastic at removing makeup but was also suitable for most skin types and also so gentle on the skin. However, suddenly there was a burst of well priced micellar waters on the scene which was a great thing for budget babes like me. What I love about removing my makeup with micellar water is just how convenient it is. I can literally sit and watch an episode of Friends and take off my makeup – I don’t have to be standing in the bathroom. You just need to have a permanent stock of cotton wool pads – because it’s the worst when you realise you don’t have any! The massive 400ml bottle costs R79,99 and will last you a while. I pretty much wear makeup every day so use my bottle continuously and it will last me a few months. While I do believe in investing in skincare, if you can get good skincare products at reasonable prices – what a bonus! It hardly has any smell at all for those of you who prefer unscented products. Honestly in terms of makeup removal I find this product incredibly effective. I probably use about 6 cotton pads to fully remove my makeup and my face will be completely clear. With some other makeup removers or makeup removing washes I find when I dab my face with a towel there’s still makeup left and then the removal process starts all over again. I don’t know about you guys but many makeup removing products can either leave my skin feeling too oily or dried out and stiff. This doesn’t happen to me when using this product. While I usually use a facewash, moisturizer etc as part of my night routine, there is definately some days where I just go to bed after taking off my makeup with the micellar water. I’ve watched how my skin looks the next day and it isn’t too oily or too dry the next day which is also a bonus. Some products are so nice when you apply them but the next day your skin looks awful! This was not the case for me whilst using this product. 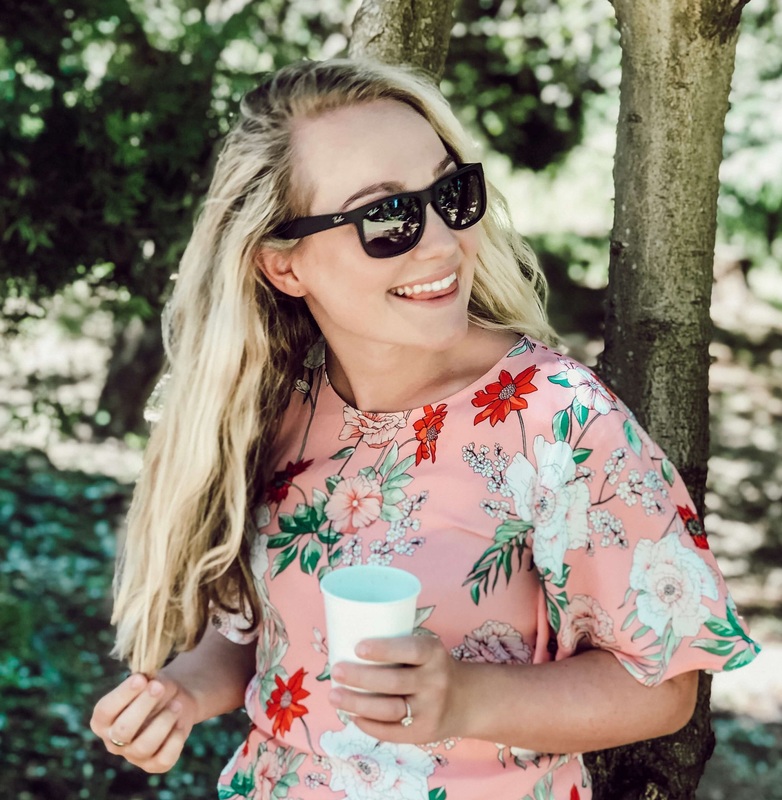 One of my all time favorite bloggers, Leigh from Lipgloss is my Life wrote a blog post this week on how us Cape Town ladies can survive #DayZero. She also mentioned these Garnier Micellar Water’s as they don’t require any water / rinsing to remove your makeup. So this is just one more small way you can use a little less water each day. You can read her fantastic post here. This huge 400ml bottle only costs R79,95! Okay not the big bottle, that would be a bit excessive! Unless your planning on running away or something and you need stocks to last you a while. But luckily for us they also have a small travel size one (R28,95 for R125ml from Dischem) which is perfect for your handbag or travel bag. Even just for day to day life, it’s great for fixing smudges or removing lipstick etc when you’re wanting to change your makeup look during the day. If I make a mistake with your eye make up or get some mascara on your face (my pet peeve!) I often just dab some on an ear bud and use it to clean stray makeup. As always I love to hear your thoughts! This is the only thing I use. I swear by it. I love this too! I always have a bottle, and use the oil-in-water one for winter. I use two cotton pads with this at night to take off my makeup, and THEN go in with a balm or oil cleanser afterwards to remove the last of any dirt or makeup on my face. This is just always my first step! Agreed it’s the same with me! I use this to kind of get the heavy bit of foundation off and find the oil cleansers work better around the eyes. It’s just so handy to have next to your bed or on your dressing table for quick makeup removal! I love Micellar water, but honestly have not touched it since I got into oil cleansers…and my Clarisonic. I have purchased a cleansing cloth, so I’m wondering with water saving in mind, if I can use the micellar water on the cloth instead. Worth a try…. Great review. I also cannot sleep/nap with makeup on. I am a massive fan too! Used the Bioderma for years and when I discovered the Garnier Micellar water I never looked back. Like you I also cannot go to be with makeup on – I really can’t! Love how effective this is to remove makeup in a flash – except for mascara, I find this to be a little more difficult to remove completely. I recently purchased the oil-infused one and I am curious to see how it will be compared to the pink one, especially in the mascara department.